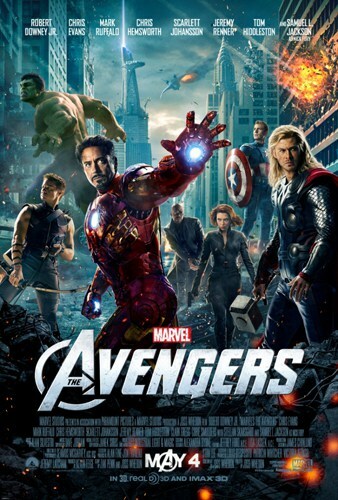 If there’s only one movie that you watch in 2012, have it be Marvel’s The Avengers. I attended the closing night screening of Marvel’s The Avengers at the Tribeca Film Festival this past Saturday and let me tell you, it was one of the best movies I’ve seen this year. I was giddy with excitement knowing that I was one of the first to see the movie before it comes out in theatres May 4th AND was able to watch it in the SAME ROOM AS THE ACTUAL STARS OF THE MOVIE and among REAL LIFE HEROES!! 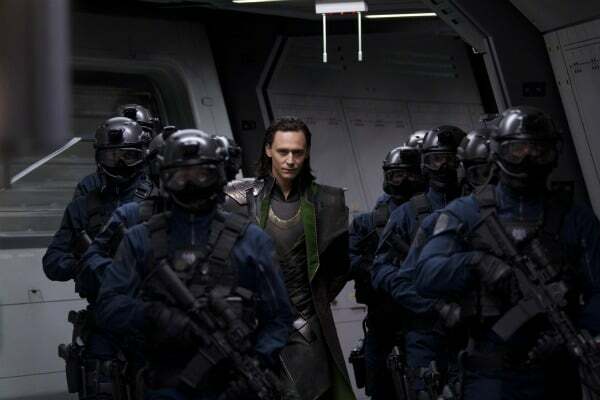 The movie starts out with a bang with Loki (played by the dashing, Tom Hiddleston) stealing this magical blue element, Tesseract, from S.H.I.E.L.D. Tesseract is very dangerous in the hands of the evil Loki who will stop at nothing in his quest for power and to take over the world. Agent Nick Fury knows everyone is in deep trouble if the Tesseract is not returned safely. The Avengers Initiative is launched by S.H.I.E.L.D. where the super heroes are recruited to stop Loki and save the world. This is not as easy as it sounds though. Not all of the Avengers are that interested in participating in this mission. 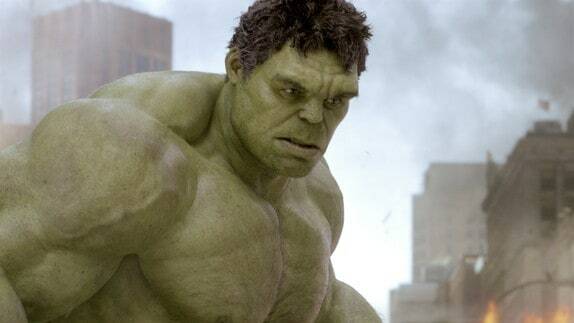 Bruce Banner (aka The Hulk) is pretty much forced by the Black Widow (played by Scarlett Johansson) to leave his medical station in South America with the threat of a physical takedown. 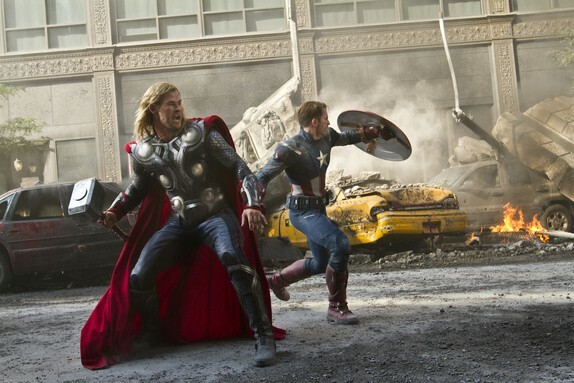 Even when all the Avengers are together, there is a serious clash of personalities and fights ensue. It was definitely an interesting development in the plot that made it seem more real to me. These are all big super heroes (many with even bigger egos) so it makes sense that they don’t all get along. I was expecting the movie to be action-packed and I was not disappointed. The special effects were pretty incredible especially in the last 30 minutes of the movie during the climax. I was on the edge of my seat especially at the part when the Hulk first materialized and was smashing everything and chasing the Black Widow. She had real fear in her eyes and it’s not everyday that happens since she is such a tough cookie! I was holding my breath when he chased her throughout the complex. What did surprise me though was how funny Marvel’s The Avengers was. I was not expecting to be laughing out loud in my seat. I’m normally fairly quiet and reserved, but in the theatre I was laughing with the rest of the crowd. There’s one scene that I especially liked and that’s when Thor is talking about his brother, Loki. I don’t want to give away the punchline, but watch for the part I mean about half way through the movie. I also wanted to mention that I hadn’t really watched many of the super hero movies until this past month. I always thought they were “guy” movies and that I wouldn’t like them. I was SO wrong though! Prior to my trip, I watched Thor, Iron Man, Iron Man 2 and both Hulk movies (I still need to watch the Captain America one) and I was pleasantly surprised that I really enjoyed them. They were the types of movies that I would go out and buy the DVD so that I can watch it again. Marvel’s The Avengers is the perfect movie to go on a date night with your husband or partner, bring your kids to see for movie night or even to do a girl’s night out with friends. In fact, I want to take John and the kids this weekend to see it at our local theatre. Bridget loves Iron Man and John is obsessed with superheroes and owns all the Marvel comic books. I know they will all love it just as much as I did. This movie was amazing! Wait til you watch Captain America and check out the bonus features about how they made Chris Evans look so small before he became Captain Anerica. Special effects are insane! With the advent of modern graphics in movie making, comic book hero’s and villian’s of the ’60’s and ’70’s are coming to life in the movie theater. Part live action part computer animation, everyone should check-out how today’s block-busters are made. It’s truly amazing the new batches of 3D computer software are rewriting what producers can do.